An arms race between weapon engineers has existed ever since the creation of the first weapon. It stands to reason because a euphemism for fighting is “trading shots.” While the object of fighting is to put an attackers lights out before they can hurt you, this is not always possible in reality. Good people or ‘normal people’ have a problem in common: they can’t fathom why someone would hurt them when they haven’t done anything wrong. Two percent of the male population in any society feels no sense of remorse about killing another human being. Half of that two percent actually like to hurt other people. Some of these psychopaths run for political office and the others usually end up getting convicted of murder. If you have time to prepare for a self-defense situation, body armor should be part of your immediate concerns. It cannot cover all parts of the body but it will reduce the effects of enemy weapon fire and will increase your chances of survival. In what must have been a strange twist of fate, and a subject of huge chagrin to would-be tyrants, body armor that was once highly restricted has found its way into the civilian marketplace in great number in recent years. I personally feel that it is not common enough in the hands of private citizens but I see the situation change as more people buy bullet-resistant protection. Body armor is usually worn on the chest though there are armor panels that fit inside of a childs backpack or a briefcase. Two flavors of body armor may be had: soft and hard. Soft armor is worn by private citizens, police and military personnel. There are thin vests that can be concealed and there are vests that are designed to be worn over the clothing. If you are in the market for a vest, I would recommend that you buy a concealable vest first. People who have actually lived through ‘SHTF’ in other countries will attest to the fact that most of your concern is finding food, medical care and safety from criminals. These sorts of collapse situations take years to clean up. Life will still go on in many ways—most people will still report to school or work and you will still want to go to the ATM or go out with your friends on occasion. I think that no restaurant will let you through the door if you are wearing your tactical vest and there is considerable advantage in not showing your hand to criminals before the cards are dealt. I emphasize increased coverage over increased threat level. My first vest was a concealable Spectra-Shield in NIJ II-A threat level. NIJ II-A threat level is the least protective on the market but its also the thinnest. This means that it is more comfortable to wear, so that you will be more likely to wear it if you ever need it. Also, the thinner vest is less likely to get noticed as you move through your day. The below table is a listing of the weapons that are certified to be stoppable by the different NIJ threat levels. This will help us better frame the discussion of threat level selection in terms of need and practicality. Already we are beginning to see the adequacy of protection offered by these two threat levels of armor. Naturally, the vests will stop other bullets than those listed above. The less-powerful bullets are certainly stoppable by these vests and those are the calibers most commonly carried because the guns that fire them are small and cheap. Submachinguns and rifles firing pistol calibers are more an oddity today than anything else but of course full-size handguns could appear in any situation. The NIJ III-A is usually what is used for the tactical body armor mentioned above. This is a great choice for this as the assumption is that the environment you are in already features you as a potential target, so you may as well have the best soft body armor protection available. 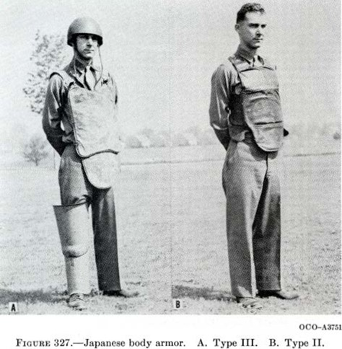 NIJ III is included for completeness—it is a hard body armor and usually is a plate that covers your chest or back. My recommendation is to purchase comfortable soft body armor and focus on being aware of your surroundings and the objects in it that might slow down or stop a bullet. Combining external cover with body armor and minimizing yourself as a target will go much further towards increasing your safety than buying a vest that is too thick to wear under a shirt. The best piece of cover that you can find almost everywhere is the concrete wall. This barrier will stop all pistols and almost all rifle rounds. Vehicle armor and NIJ III plates fielded by foreign armies often consist of a single plate of armored steel. Most any handgun is capable of shooting through body armor with the right type of bullet.